It’s the secret to a happy life and designing indoor and outdoor spaces as if they were one. Living well in 2019 is all about the state of flow. 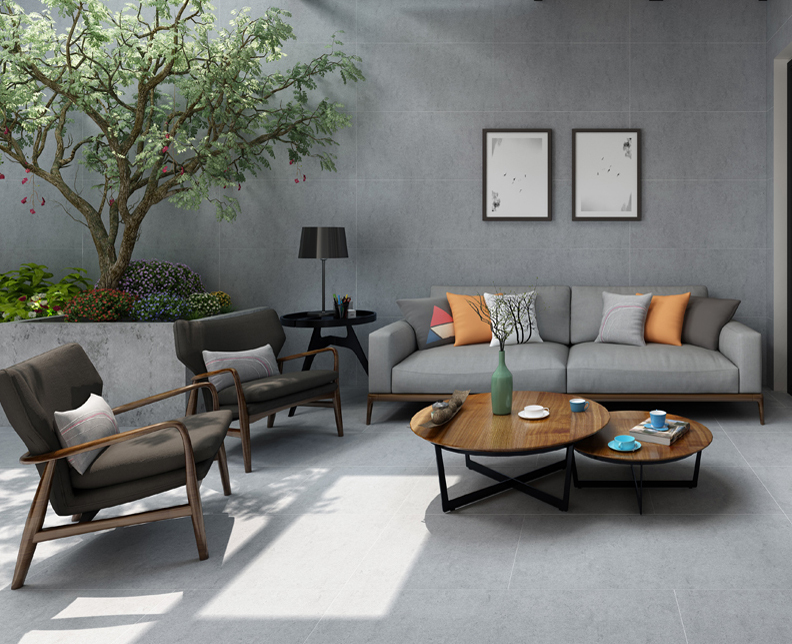 In the Seamless Sanctuary Trend – the best of nature comes in, and creature comforts go out to create the ultimate indoor-outdoor living experience. Backyard havens boost home value and make entertaining a breeze. But why stop there when you can extend your living spaces and create a breathtaking flow using tiles with matching pavers. 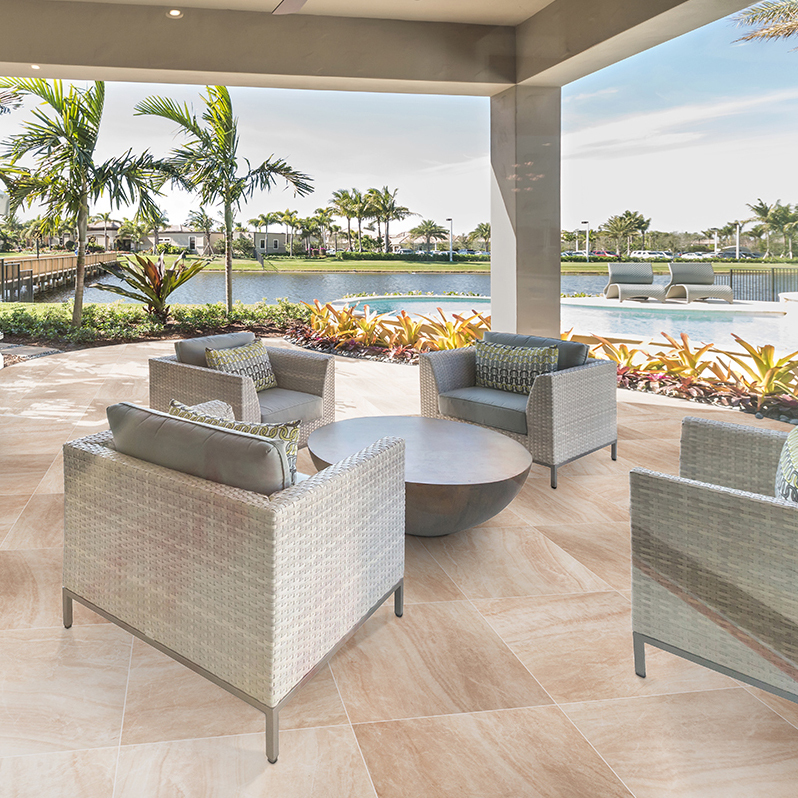 From the front door to the back terrace—and every area between—Arterra Porcelain collections like Caldera and Praia create day-dreamy sanctuaries on the regular. Combined with expansive doors, oversized windows, and lots of greenery, the uninterrupted sightlines in the Alfresco lifestyle movement have never looked better. To make easy work of creating a Seamless Sanctuary, we gathered the hottest looks of the season to inspire you. When we imagine spring in the city, it looks like this. Caldera Blanca floors dazzle against a downtown skyline. The crowds. The noise. The hustle. It’s no small thing to find peace in a concrete jungle. The difference between enjoying urban life and hightailing it to greener spaces? Carving out an oasis that looks as good as it feels. 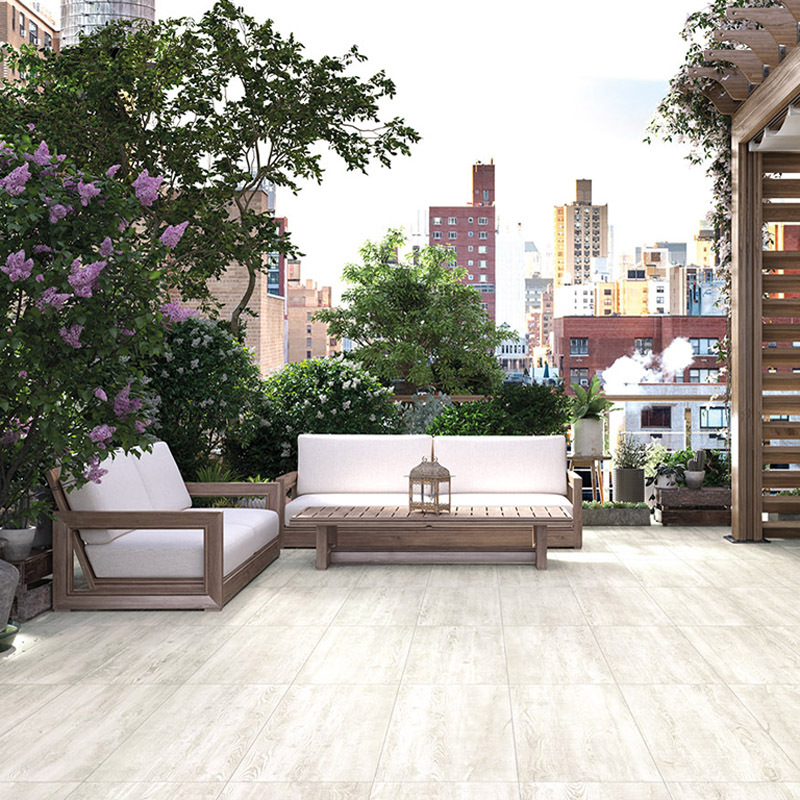 With its chic colors—Grigia, Coala, and Blanca—and matte finish, Caldera Porcelain indoor planks and matching outdoor pavers deliver on-trend wood looks in a low-maintenance package. 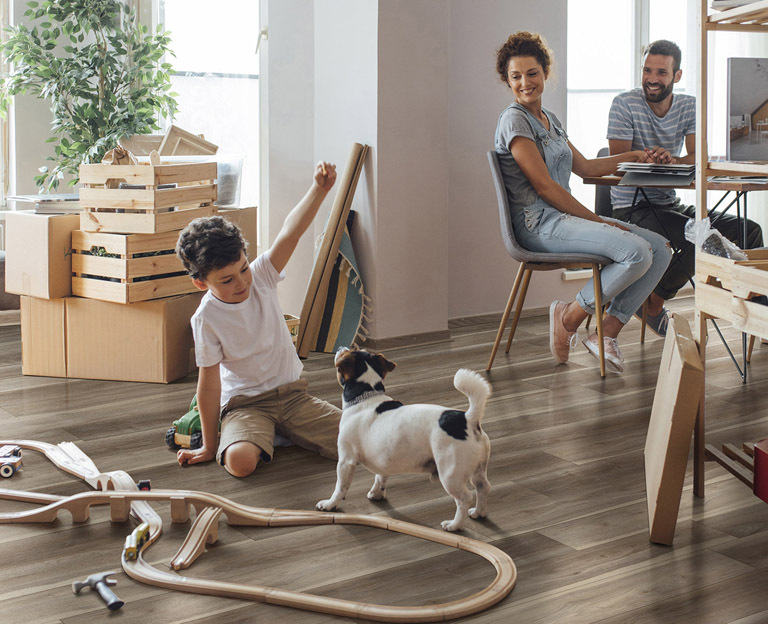 From city limits to neighborhoods across the map, Caldera joins the rest of the Arterra Porcelain lineup to redefine affordable luxury. 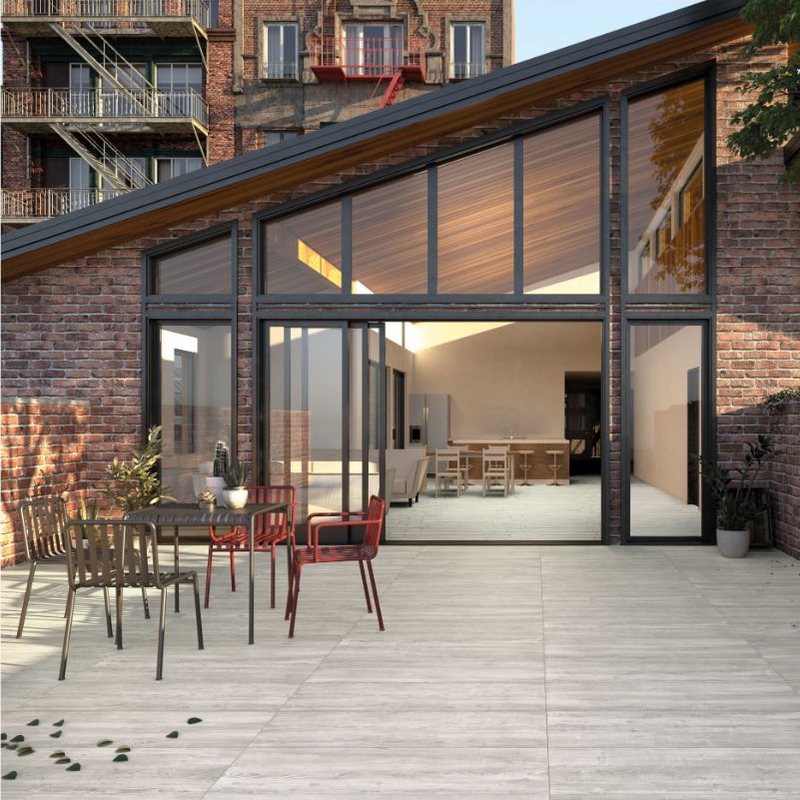 Calderia Grigia Porcelain makes this industrial style indoor/outdoor flow possible. 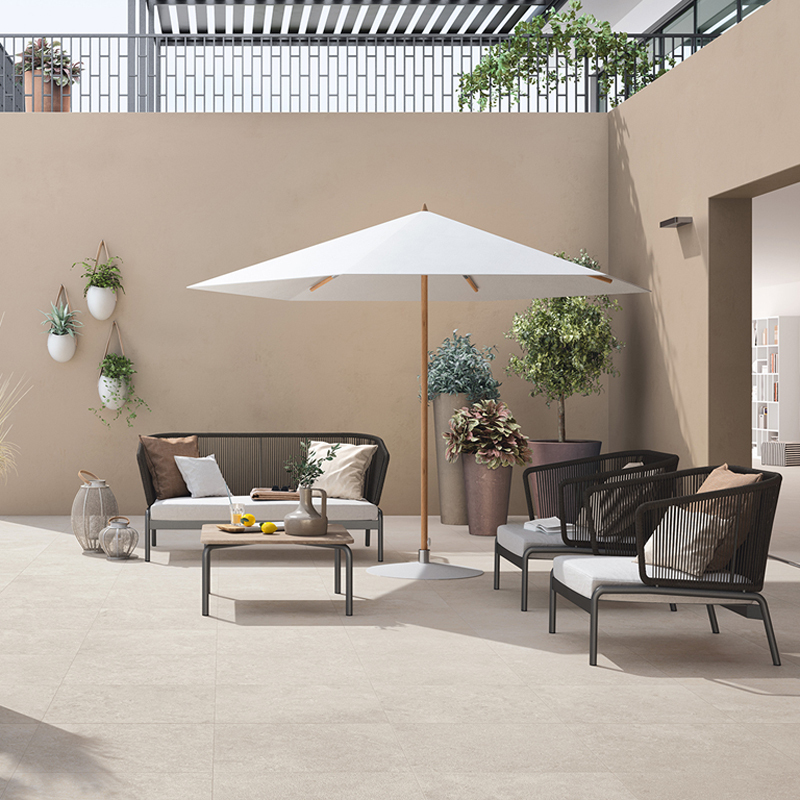 A large-format tile with a trending matte finish, say hello to Arterra Porcelain Praia in Cream. Relax on a hammock or fuss over outdoor tile and wood? A low-maintenance indoor/outdoor collection from Arterra is the obvious choice for alfresco lifestyles. The natural stone look of Livingstyle Cream is paradise-perfect. 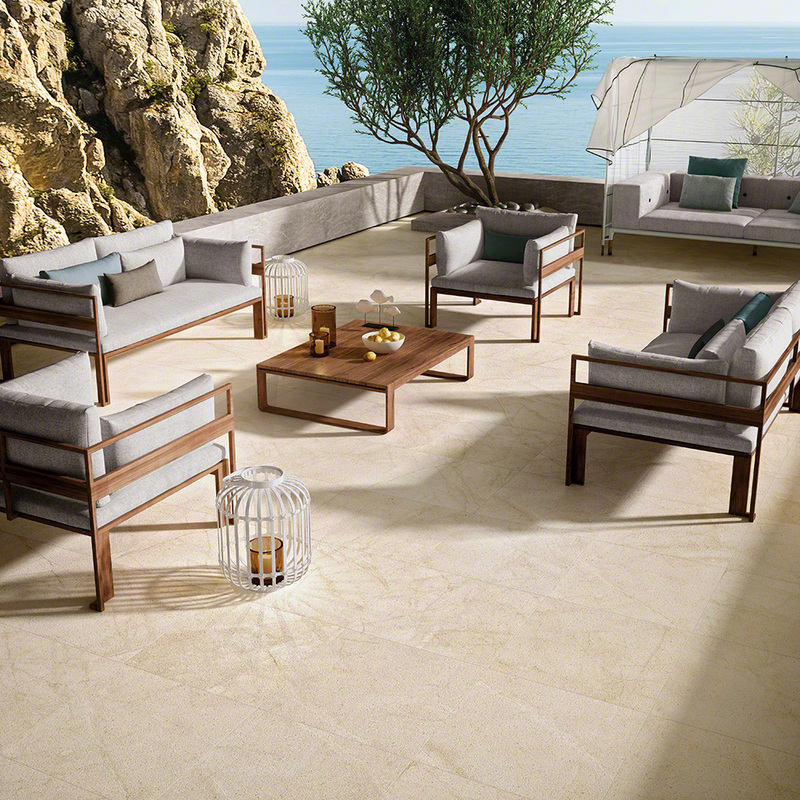 At home in living rooms and terraces alike, the lines offering a natural transition in and out include Praia’s marble and quartzite looks; Livingstyle’s travertine and limestone aesthetics; and Caldera’s wood lookalikes - complete with knots and graining. A fan of deep blue-grey? Bluestone, an inspired new addition, features this coveted shade in a mod matte finish. Pearl is the newest jewel in the Livingstyle lineup. Whether you live on an island in Maine or in California’s wine country, Arterra indoor/outdoor collections withstand freeze-thaw cycles – and are resistant to stains, scratches, and slips. 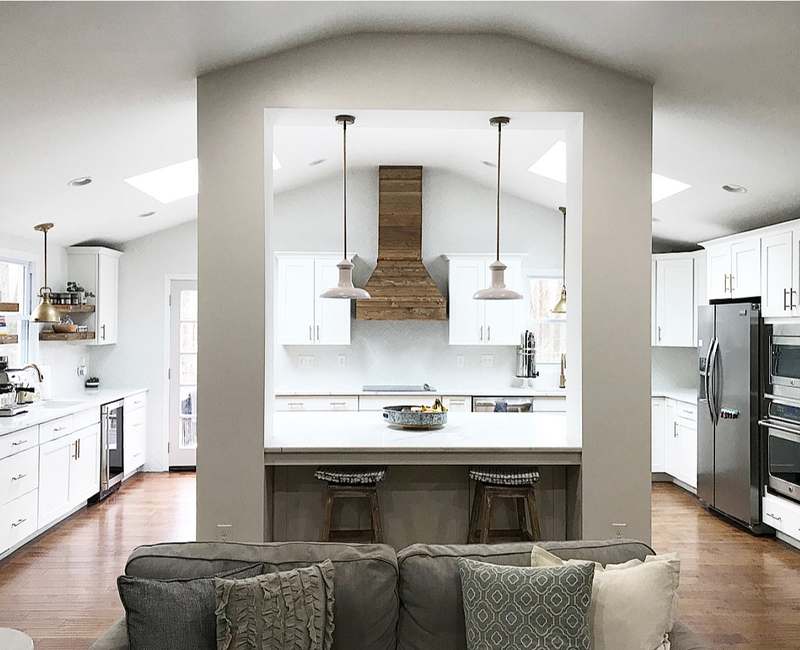 With top-trending finishes and large-format sizes (including 16” x 32” and 18” x 36”), creating your own version of a seamless sanctuary has never been easier. Luxury Vinyl Tile For High Traffic — Yes, You Can! Forget Paint! Add Color and Texture to Your Walls with Stacked Stone! What Are the Benefits and Drawbacks of White Quartz Countertops? Sheet or Luxury Vinyl Tile Flooring: Which Should You Choose?